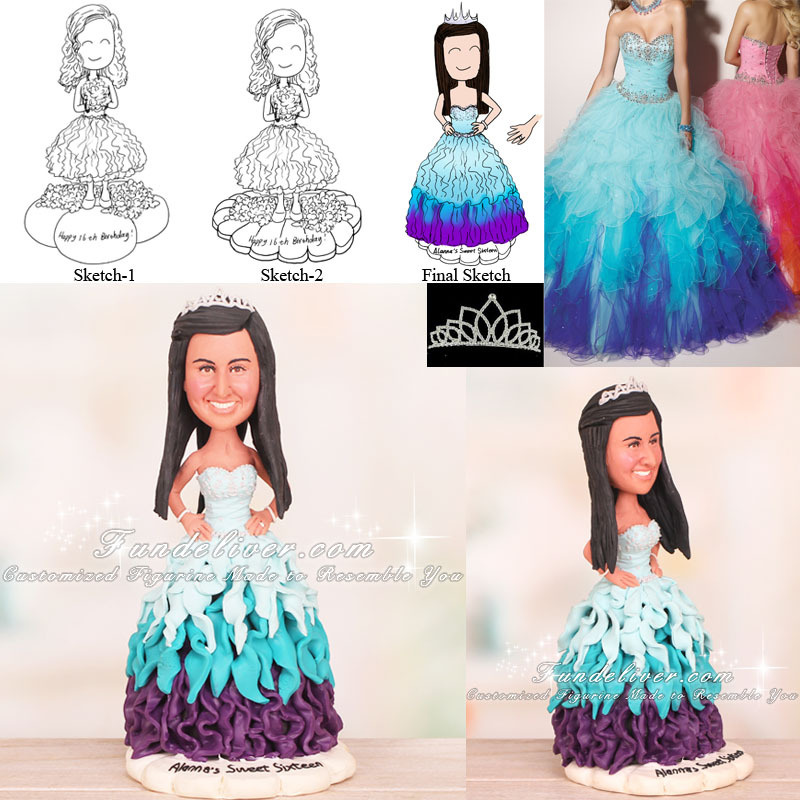 This is a completely customized Secret Garden theme birthday cake topper ordered by a Mom for her daughter’s sweet 16. Her theme is Secret Garden, very floral, lots of flowers, pastel colors that kind of balance with her dress. 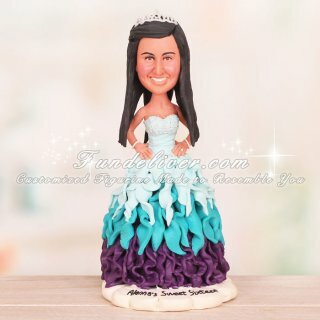 As far as pose, she would like her daughter’s figurine to be putting hands on her hips with rhinestone bracelets, standing on a small white flower shape base with “Alanna's Sweet Sixteen” on.